We have the one and only KEVIN HARRINGTON – the original shark on “Shark Tank” and inventor of the infomercial. 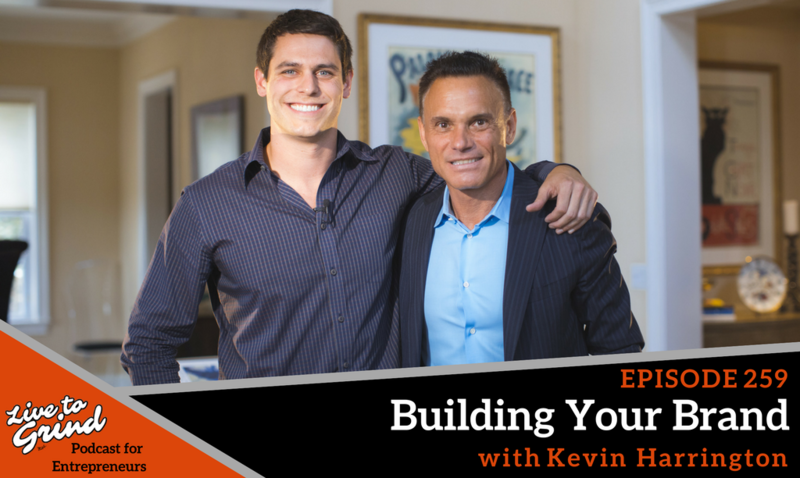 Kevin shares expert wisdom on the power of your brand, your network, and the mastermind. Why does Kevin attend over 100 events every year? Kevin speaks on the importance of events, as he gears up for the exclusive Live to Grind Accelerate Your Brand and Influence event in Los Angeles, December 8-10. – How Kevin became a thought leader in his industry. – How Kevin became a person of influence by helping others build up their brands. – Kevin’s advice for getting content out there to build your brand. – Ways to make the most out of a conference or event through strategic planning. – Kevin’s lowest point in his business career. – How Kevin went from $100 million to $500 million in sales after facing a major obstacle. – Where Kevin draws his inspiration for his daily hustle. – Kevin’s tip for the pitch competition at the upcoming Live to Grind conference. – A SPECIAL GIVEAWAY for Live to Grind podcast listeners. Kevin Harrington is a leading entrepreneur and person of influence, as the original shark on the ABC show “Shark Tank” and inventor of the infomercial. Kevin has launched over 20 business that have each pulled in over $100 million in sales. He has also launched over 500 products, generating over $5 billion in sales worldwide. Kevin is the co-founder of the EO (Entrepreneurs Organization) which operates in 45 companies with thousands of members. He is also the co-founder of the Electronic Retailers Association (ERA), which today represents a global $350 billion direct-to-consumer marketplace. Kevin currently operates a private consulting firm where he helps companies in manufacturing, marketing, retailing, and distribution. Kevin has helped several public companies grow to 10X their stock price with business expertise accumulated over the past 40 years. Secure your spot at the Live to Grind Accelerate Your Brand and Influence Event – buy a VIP ticket and Live to Grind podcast listeners will receive the first issue of Accelerant Magazine and a SIGNED copy of Put A Shark in Your Tank.